YouTube is huge and immensely popular among global viewers. You definitely don’t have any idea that the video content uploaded to YouTube every two months or 60 days is more content than the three U.S. major television networks created in 60 years. Well, we bet you didn’t know about this. There are tons of such astounding facts that you don’t know. Today it has grown into such a vast dimension that YouTube now has tutorials, reviews, videos, music videos, skits, etc. It has content so massive that it is enough to satiate the entertainment needs of anyone. Well, if PayPal had any idea about what its ex-employees were going to create, we bet PayPal would not have let them go. Chad Hurley, Steve Chen, and Jawed Karim started YouTube in 2005. The three founders worked together at the then-Internet start-up, PayPal. In fact, Hurley created the PayPal logo when he got to know about the online payment company and e-mailed the startup to get a job. YouTube got its first funding from the bonuses received after the eBay buyout of PayPal. You could say that if there was no PayPal, there would be no YouTube. The initial stage, the concept of YouTube was not as you see it today. There were some inside stories that YouTube was initially started as a video dating site named “Tune In Hook Up” — inspired by the then-popular Hot or Not. But fate had other intentions as the three founders decided not to go that way. The most formal incidences that led to the creation of YouTube that we know today are credited to two different events. The first event was when Jawed Karim was not able to find video footage of Janet Jackson’s “wardrobe malfunction”, and the second event was when Chen and Hurley were not able to share video footage of a dinner party because of e-mail attachment restrictions. Well, we thank God that Dropbox and cloud storage were not present at that time, otherwise there would be no YouTube. How interesting that can be when some tube and roll form equipment company starts to get huge traffic just because people spell the site name incorrectly. Yes, that happened when YouTube.com was registered in 2005 and a domain called utube.com (which belongs to the Universal Tube & Rollform Equipment Company based in Perrysburg, Ohio) started to get unexpected traffic because of similar domain names and bad spellers. The company also sued YouTube, making allegations that its business was damaged by the video site. The claims were dismissed later and the manufacturing company moved to another domain (utubeonline.com), leaving the domain utube.com as a video-themed landing page for bad spellers. Have you ever thought which was the first ever video that was uploaded to YouTube? Well, it’s not a classic video but rather a casual video featuring Jawed Karim’s visit to a Zoo in San Diego. Shot by Yakov Lapitsky, the video showed Jawed Karim in front of an elephant. The video garnered 4,282,497 views when it went online on 23rd April 2005. Well, most of you don’t know that YouTube plays pranks on its millions of users every year on April Fool’s Day. The first incident was on the homepage of the site that was actually a Rickroll. In 2009, YouTube surprised its users when it turned the website upside down. Since starting the April Fool’s Day tradition, every year YouTube comes up with something unique to keep the trend alive. Rickrolling first appeared on YouTube in 2007. In 2008, at the height of Rickroll phenomenon, more than 18 million U.S. adults were Rickrolled. You can thank Rick Astley singing “Never Gonna Give You Up” for this. Today the Rickroll has become the most common online practical joke. It is a type of bait and switch that uses a disguised hyperlink. It’s the evolution of a 4chan prank that tricked users through a link that led to a duck on wheels. 1.You all know that YouTube is very popular, but you don’t know that as per the latest statistics more than 1 billion people around the globe use YouTube — i.e. one-third of people on the Internet. Amazing! >YouTubers watch 6 billion hours of videos every month. >YouTubers watch 4 billion videos every single day. >YouTubers upload 300 hours of video every minute. b. Most of YouTube’s traffic comes from outside the US. Yes, you read it right — since its acquisition by Google in 2006 for $1.65 billion, YouTube was made accessible in 76 global languages and launched local versions in around 70 countries. This whole thing was done because a majority of the YouTube traffic that constitutes to 80% was coming from outside the U.S.
We can bet you don’t even have the slightest idea about this answer. There are around 196 countries if we include Taiwan on the list, but it is officially not recognized as a country by a majority. So out of these countries, the country that tops the charts with 90 million daily views is... Saudi Arabia. Well, you are surprised, aren’t you? Here is an interesting fact about why Saudi Arabia is making the headlines here. Unlike TV, Facebook, and Twitter — which are banned in Saudi Arabia — YouTube is unrestricted. So this makes YouTube the only source of entertainment that people can look for. Yes, it’s music. Musicians, composers, artists use YouTube as a handy way to make their music available to the public. The public turns to YouTube to listen to their favorite artists, their events, chartbusters, etc. If you don’t like pop-ups coming in between you and your favorite music all you have to do is to subscribe to YouTube Red by paying a monthly subscription fee of $10, but in turn you will get more than just an ad-free experience. YouTube does not let you download videos, but interestingly people are looking at ways to download them. The most viewed, liked and favorite video of all time if we don’t include any music videos is the very famous, fun classic video “Charlie bit my finger” — with an astounding 846 million views (at the time of writing) — but the majority of the most viewed videos are from a music genre. Before June 28, 2015 only two videos, “Gangnam Style” and “Baby” has crossed the 1 billion mark; but to the surprise of many just after 3.5 months later on October 7, 2015, ten videos also joined the club. 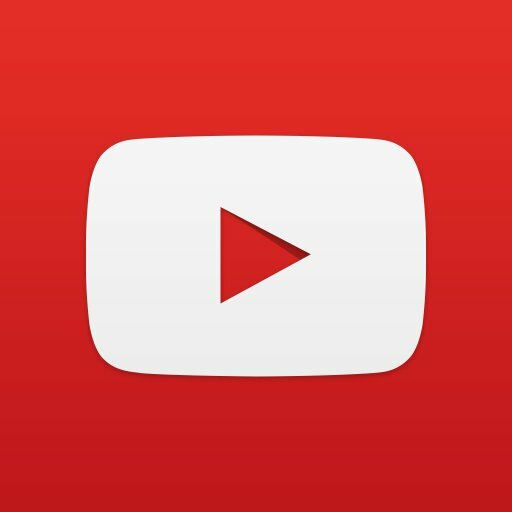 As of Feb 2017, 47 videos has exceeded the 1 billion mark on YouTube. Here is a list of the top 25 watched videos on YouTube. Comment on which one you like the most. Do you know that you can watch YouTube Charts at any time to view constantly updated information?